Oracle's Intelligent Storage Strategy builds increasing amounts of intelligence from best of breed products up through complete integration with the Oracle software stack, turning storage into the most critical asset in your data center. Come to this 30-minute capstone session and hear directly from the leaders of Oracle's disk and tape teams how Oracle's Intelligent Storage Strategy improves efficiency, manageability and performance and unlock hidden value in your data center. Join this webcast to learn from leading storage analyst Henry Baltazar, as he explores trends and best practices in selecting a data storage vendor to better manage your evolving data centers. •Performance efficiency: How caching and tiering technologies will help customers get the most out of expensive NAND flash. •Storage capacity efficiency: Store more with less using deduplication and compression. •Management/Operational efficiency: The road to self-service storage provisioning. Looking for flexible solutions that can be easily adapted to offer a balanced and affordable portfolio of performance and capacity storage as needed and when needed? In this session, you’ll learn about how the convergence toward x86 storage servers brings new efficiencies that will benefit both enterprise data centers as well as cloud-based solutions. Hear first-hand how disk and unified storage plays an integral role in the roll-out of a new offering at rogersondemand.com, enabling Rogers Communications to offer its customers access to HD movies, TV series, FIFA World Cup, the Olympics, and more. The current pressures on IT organizations are requiring more results with fewer resources, while security and efficiency are still top priorities. Join this expert roundtable to hear perspectives on how industry leaders are leveraging current virtualization technologies to move their data into the cloud. This webcast is a case study on how the USC Shoah Foundation Institute for Visual History and Education selected tape storage for its high-quality digital copies of its Visual History Archive. 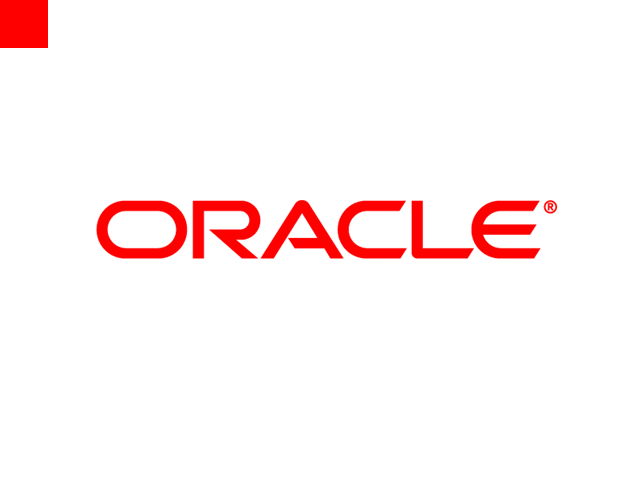 This organization provides computational and storage resources for the Department of Energy and Science at Lawrence Berkeley National Lab, and relies on Oracle’s Storage for high performance archive of their critical scientific data. Database and application performance is critical for your most active data. Learn how Flash arrays, Solid State Disks (SSDs) within storage arrays and the Oracle database are redefining the performance and cost landscape through the introduction of a new tier of storage. Add Oracle’s StorageTek Virtual Library Extension to your StorageTek Virtual Storage Manager System and you’ll get an additional 3.5 petabytes of disk storage space. And that’s just the start. You’ll also get enhanced, seamless disk buffer scalability to effectively manage data growth and increase performance while reducing costs. In addition, StorageTek Virtual Library Extension maximizes data protection and availability by leveraging the unique capabilities of StorageTek Virtual Storage Manager System. Learn more about this high-performance solution by viewing the Webcast, Scale Up with Oracle’s New StorageTek Virtual Library Extension. View the Webcast: Scale Up with Oracle's New StorageTek Virtual Library Extension and move up to a better solution. While many enterprises are tackling server sprawl issues with the help of virtualization technologies, this is only part of the equation to reducing data center costs and inefficiencies. Consolidating storage is another critical component that enterprises must consider. Unified Storage is an ideal solution for virtualized server environments, providing a common storage consolidation platform that delivers powerful data protection, simplified provisioning and storage management, better performance, and tremendous cost efficiencies. Learn how Oracle’s Unified Storage leads the industry in delivering new levels of storage efficiency to virtualized server environments. This membership association for the real estate industry used Oracle’s Sun Unified Storage platform to consolidate its storage needs. This marketer of women’s apparel and accessories deployed Oracle storage solutions to help them consolidate their storage needs onto a single, unified storage platform. Our storage solutions provide superior availability, flexibility, and reliability. What’s more, they can significantly lower the operating costs of your storage environment by reducing power, cooling, and space requirements. Looking for an integrated tiered storage solution? Oracle’s StorageTek modular libraries can scale up to 40 percent more than the competing tape libraries. And they can scale without disrupting your operation, from 200 to 5,925 cartridge slots. In addition, the libraries offer on-demand capacity and industry-leading partitioning features. And those are just some of the benefits that have made our tape storage solutions a leading choice of businesses worldwide. View the Webcast, Discover Oracle’s Tiered Storage Advantage with Tape today. QBI uses Oracle’s Sun Storage in their IT infrastructure to house the large amounts of MRI, HFI data, and high resolution scans, enabling them to conduct research that is vital to the development of therapeutic treatments for a range degenerative neurological conditions. The European Organization for Nuclear Research (CERN) relies on Oracle Storage to preserve the data generated by its Large Hadron Collider, the world’s largest scientific instrument designed to study the properties of subatomic particles. BNL uses multiple tiers of Oracle’s Sun storage, including disk and tape, to house the data required for its physics, medical sciences, biology, and energy sciences research. Join us for a live webcast on Oracle's Sun ZFS Storage Appliance and see how the advanced analytics capabilities can significantly reduce time to resolution helping companies save critical time and money. Oracle's Sun ZFS Storage Appliance achieves storage efficiencies that go beyond any solution on the market today. Join Phil to learn how unified storage lowers costs, accelerates business performance, and reduces risk in today’s IT environments. Oracle Sun Unified Storage Appliances deliver performance, ease of management, extensive data protection and efficiency with a rich suite of integrated data services and storage management facilities included at no extra cost. This session will highlight how such systems can be used to create a dedicated backup & recovery solutions for Oracle database protection. Phil works for Oracle UK & Ireland as a Storage Specialist. He joined Oracle as part of the Sun Microsystems acquisition and specialises in Oracle’s unified storage systems. He has worked with many different customers who have implemented unified storage systems into their IT environment. Oracle’s Enterprise Storage offers the industry’s broadest portfolio of high-performance, cost effective, and easy to manage storage solutions. These products optimize performance, maximize data protection, and reduce the cost of ownership for Oracle databases, applications, and heterogeneous environments.